Mayonnaise is now the most popular condiment in the U.S. -- BUT WHY? Alright, confess! WHO IS RESPONSIBLE FOR THIS? 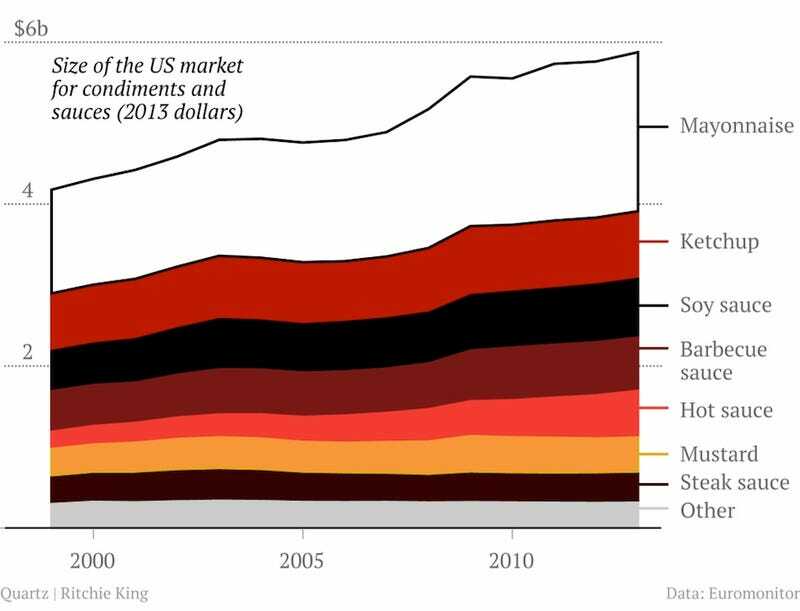 America spent $2 billion in mayonnaise last year ($0 of which came from my pocket), beating out hot sauce, mustard, and, yes, even ketchup, to become the number one condiment in the U.S. But, seriously, what are you doing with all this mayonnaise, America? Spoiling perfectly good BLTs? Making DIY hair conditioners? Or are you buying large quantities only for the purpose of pitching them into the sea in protest, Boston Tea Party-style? Someone, please, explain to me what's happening here.